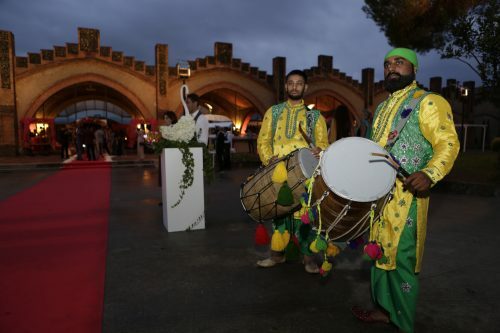 Wedniksha, a luxury wedding planning company based out of India, executed an extravagant Indian wedding celebration on September 22nd-23rd, 2016 in Barcelona, Spain. The first day of the celebration began with a lavish Spanish themed dinner welcoming guests who had come to participate in the joys of this married couple. La Velada Española – a Spanish night dressed in hues of red, black and white. 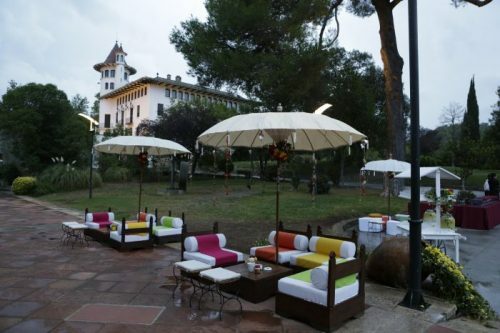 The venue was Finca Mas Solers, at the outskirts of Barcelona looking every bit glamorous even more so that night. The theme for the entertainment was inspired by the culture of this host country. 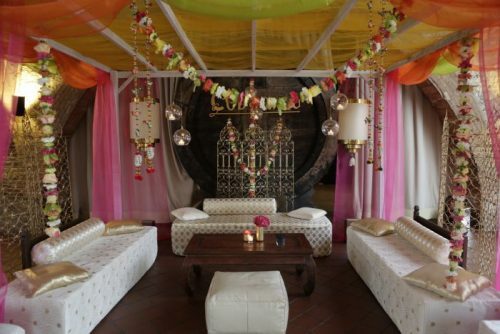 Right from welcoming guests by artistes dressed as famous icons of Spain like Gaudi, Picasso etc. to dance and music, it was all there. Wedniksha customised the entertainment of the night by curating an Indo-Spanish dance act with local talent, creating the perfect fusion performance named Jalsa. All things fell in perfect place as we handled the décor, food, logistics, hospitality, entertainment and in fact the overall management of the event. Our work was made easier owing to all the efforts and great hospitality extended by the country and particularly the city. Working with skilled vendors from the city, like Mark and Kamal, to name a few made our experience completely unforgettable. The staff of Hotel Arts was very accommodating and helpful, trying to accommodate all our requests and make it special for all the attendees. Overall, we love Barcelona as a destination and would love to come back and organize lavish weddings there! We cannot thank all those involved enough for making our experience truly great.